Nearly half of Americans take at least one prescription medicine, with almost a quarter taking three or more, as diseases such as diabetes, obesity, and dementia grow more prevalent than ever. The problem with medicating common ailments, such as high blood pressure or elevated cholesterol, is that drugs treat symptoms - and may even improve test results - without addressing the cause: diet. 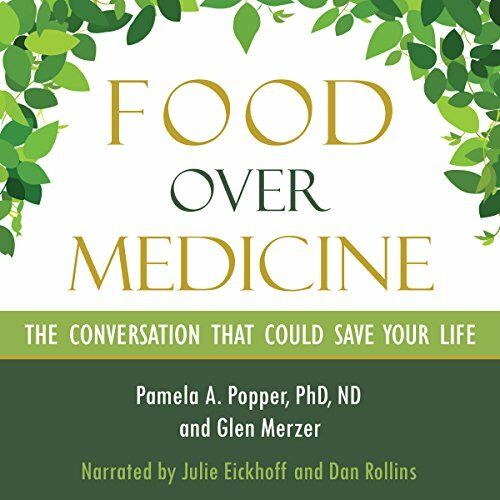 In Food over Medicine, Pamela A. Popper, PhD, ND, and Glen Merzer invite the listener into a conversation about the dire state of American health - the result of poor nutrition choices stemming from food politics and medical misinformation. But more importantly, they share the key to getting and staying healthy for life. Backed by numerous scientific studies, Food over Medicine details how dietary choices either build health or destroy it. Food over Medicine reveals the power and practice of optimal nutrition in an accessible way. 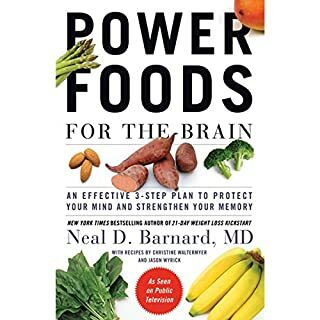 I have been vegan for a 9 months and this is one of the most helpful books that I've read and his giving me more information on how to implement my new health routine. 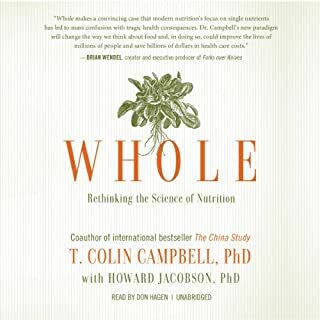 I have enjoyed listening to the discussion in the audible version covering many aspects of the subjects of healthy diet. That happened despite the controversial nature of many points and despite my tendency to disagree with the authors in multiple points. I advised all those interested in the subject of nutrition to listen to it as it helps balancing their views. The information I wish I had known before accepting surgery. Dr. Popper covers the reality of many medical interventions. Side effects of some medical interventions are completely unknown to the patients and they find out only after the fact. Compelling information about how food impacts our health and how the medical community, agri-big-business and the government ignore these facts. We truly need to be our own advocate and take responsibility for our health. Jeg synes att det var en bra book som fikk frem poengene og beskjeden her. 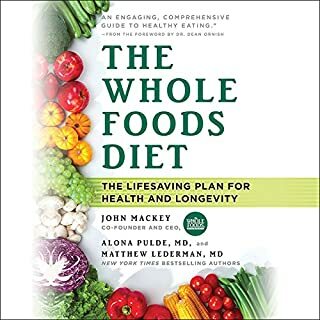 on how a wfpb diet can change your life. I appreciate the wealth of information that will now empower me to take charge of my health! very interesting book, revolutionary, goes against many common misperceptions. a must read! only downside - would have been better narrated by the author than an actor. Great genuine discussions regarding real world questions and answers..I recommend that you read/listen to it. 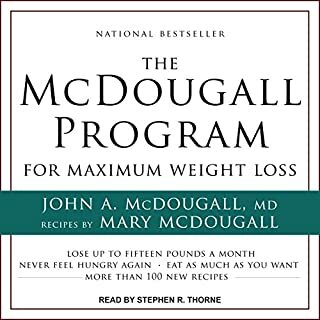 An excellent, easy to understand, source of truth about the "do's and don't's" of dietary choices, medical procedures, medications and the links to disease. 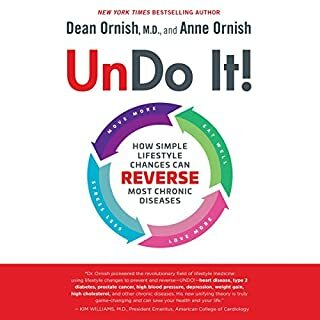 A "must read/listen" to move towards optimal health! This book is well thought through using questions and answers as it's format. I've listened to all of the major players advocating the WPBD and Dr Popper has I feel the most enlightened view on how to engage the public for "their" own good. I'm no fan of Dr Popper however as audio books go this is probably the best I've listened to on the subject.